The responsibility to now steer the cashstrapped airlines out of crisis lies on the current CEO Vinay Dube who is expected to stay. Naresh Goyal, and his wife Anita Goyal, founders and net promoters founded Jet Airways nearly 25 years ago. Now as the airlines is soaked in financial losses and struggles to even pay out salaries to their employees, the two founders and promoters are planning to step down from the board. As per the report, the entire 51 percent stake of Naresh Goyal in the airline may be invoked and the airlines would soon start looking for a new buyer in the coming weeks. While the speculation is that former SBI Managing Director & an ex-Jet Airways board member Srinivasan Vishvanathan maybe invited to join the airline’s top leadership, the responsibility to steer the cash strapped airlines out of crisis lies on the current CEO Vinay Dube who is expected to stay. Vishvanathan has previously spent nearly three years on the Jet Board as an Independent Director till August 2018. Goyal who is London currently may address all 23,000 employees of Jet from there. This is not the first exit of a leader from the board for Jet. Earlier in November 2018, Ranjan Mathai had left Jet Airways board as an independent director. The same month Vikram Singh Mehta had put in his papers due to “time constraints” and other obligations. Jet Airways has been in news for a year now and not for the good. From struggling to bear the losses to not being able to pay salaries to their employees on time, the company has now reached a stage where stakes are being sold and key people are quitting. In fact, last week it was reported that IndiGo poached over 100 pilots from cash Jet Airways. Amidst such a crisis how can Jet that had to ground more than 60 percent of its planes retain their employees and leaders to stay with the company? The founding members leaving the company at this stage does not set a good example for other leaders at Jet Airways. The employees who are already having a hard time trusting the company could be more scared now about the company and their future in it. At this time it is essential that CEO Vinay Dube and other leaders ensure that they effectively communicate with all their employees and clear all their confusions and doubts. 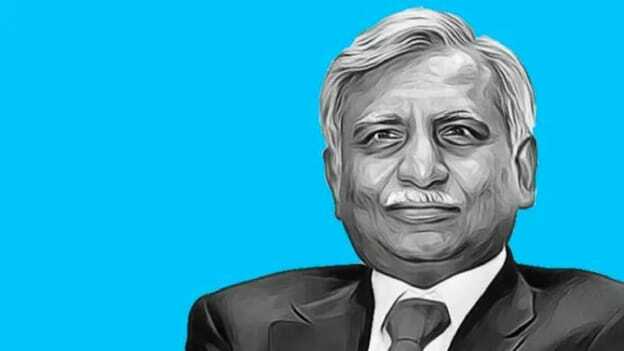 A lot will also depend on Naresh Goyal's final address to the staff before he leaves Jet Airways.